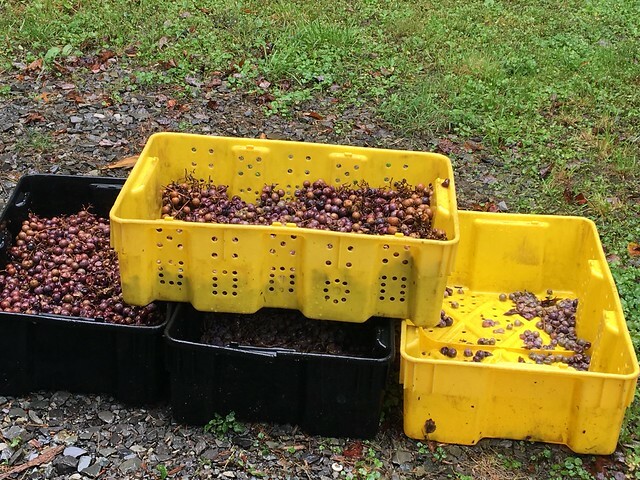 There are a few well-known festivals around the state that I haven't had a chance to visit yet: Blues Brews and BBQ at Snowshoe, Brew Skies and, until this weekend, Kirkwood Winery's 25th Annual Grape Stomping Wine Festival. 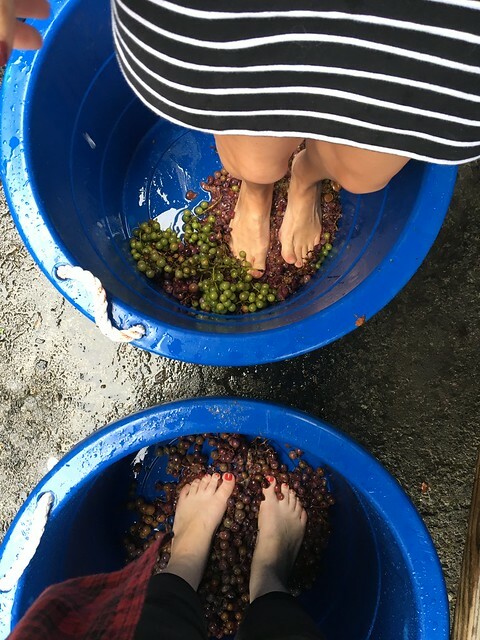 So, I have been to Kirkwood Winery a few times now, but I've always wanted to see the Grape Stomping Wine Festival, because, I mean, how often do you get to see people stomping grapes? 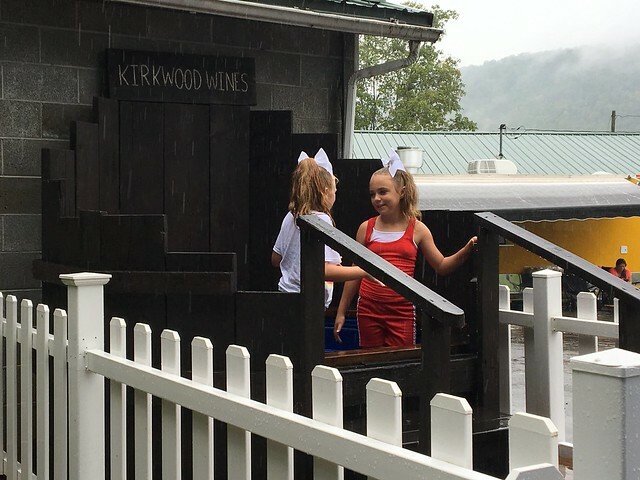 Since the winery first opened in 1992, it has been host to the Kirkwood Grape Stomping Festival held each year on the third weekend in September. 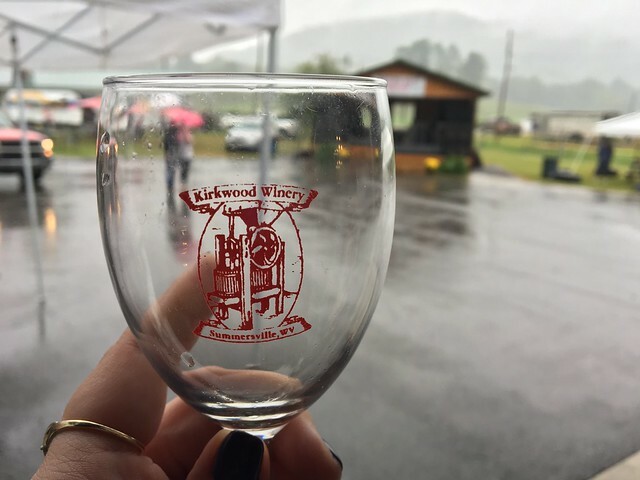 Kirkwood Winery strives to maintain a strong family atmosphere during the festival believing it to be the most conducive environment for the continuing preservation of Appalachian history and culture. 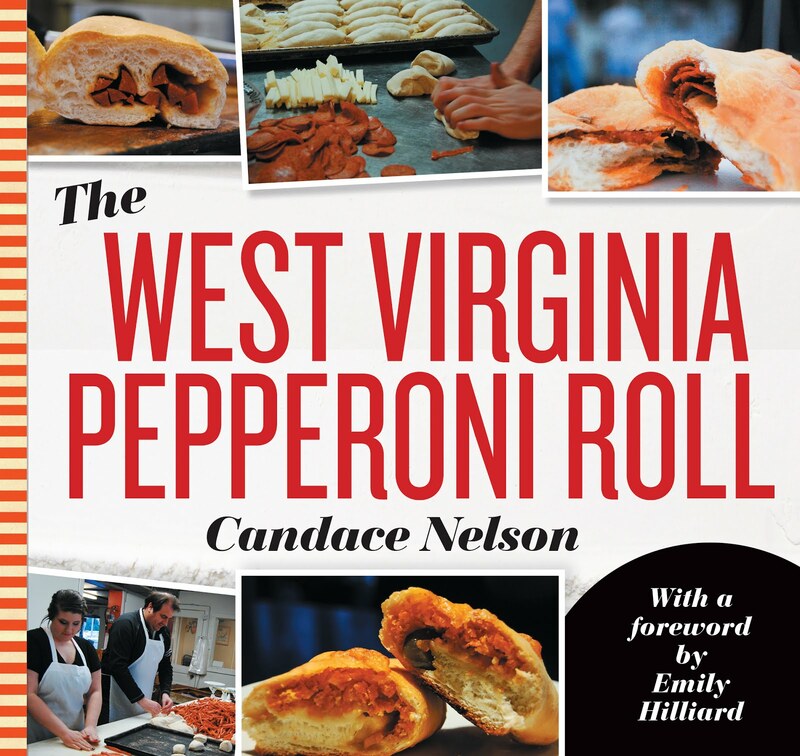 The goal of the festival continues to be the selection and promotion of the very best of the multi-talented people of West Virginia, most of whom provide demonstrations of their artistic and musical gifts. The festival had food vendors, artisans, wine-tasting and live music. 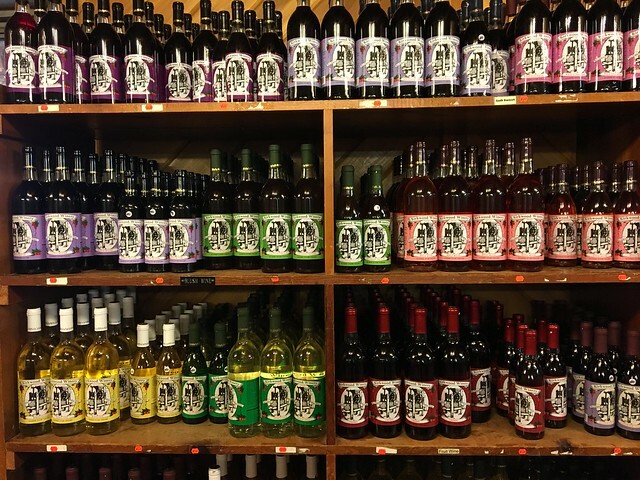 All of this, plus your wine glass, for $12. Unfortunately, it was raining pretty consistently all day, so there wasn't a ton of dancing. And, our time there mostly consisted of running from tent to tent to try wines and check out the rest of the festival. But, what I mostly wanted to see was the grape stomping. 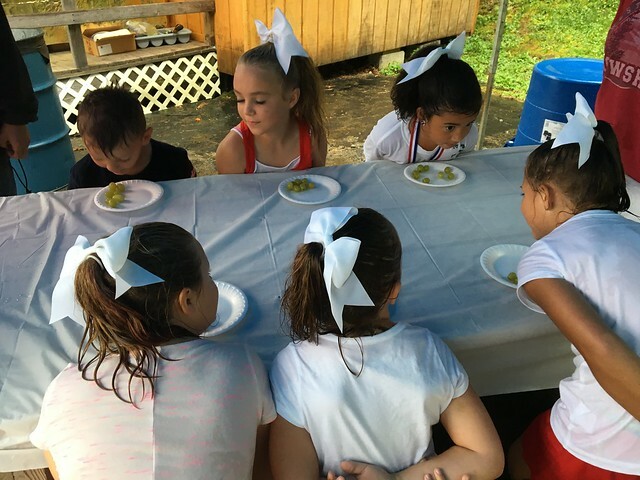 They have little contests of grape eating and grape stomping throughout the day. And, there is this large communal stomping pit that the kids kind of dominated. 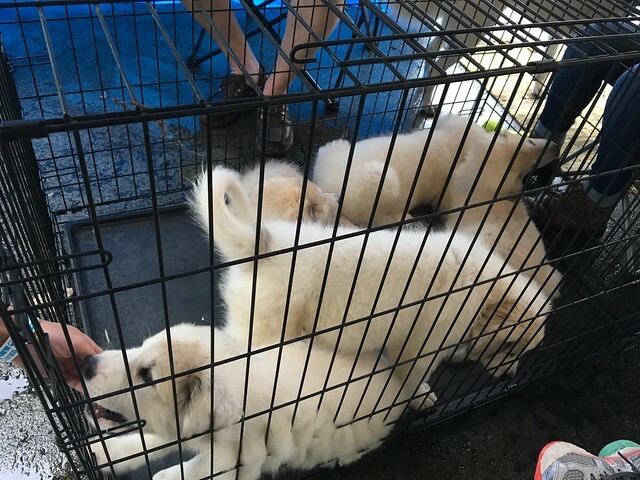 So, I asked if we could stomp in our own buckets just for fun - not as part of a contest, because lord knows between the rain and balance, I would not be able to stay upright (aka this). The woman was so kind and filled our buckets up with extra grapes. 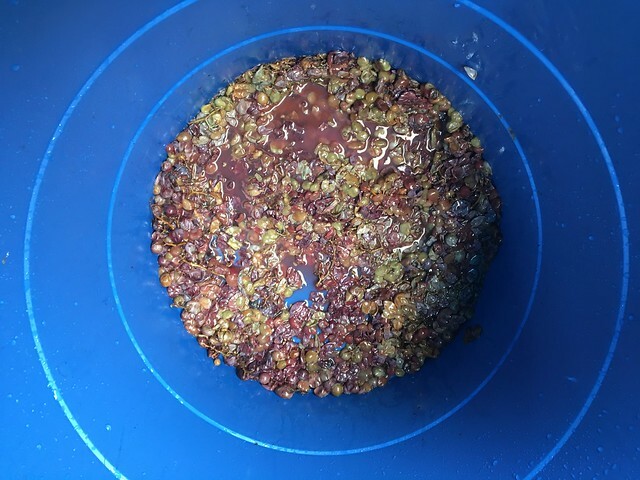 Mine had mostly purple; Heather's had a nice mix of green and purple. But the purple gave off more juice, so if this WERE a competition... I think I would've won. Muahaha. Stomping grapes is a weird sensation. It's, well, exactly how you think it would feel. Little cold, wet, orbs that pop when you exert pressure. But, I mean, how often do you get the chance to do something like this? Not often. Have you been? What was your favorite part?